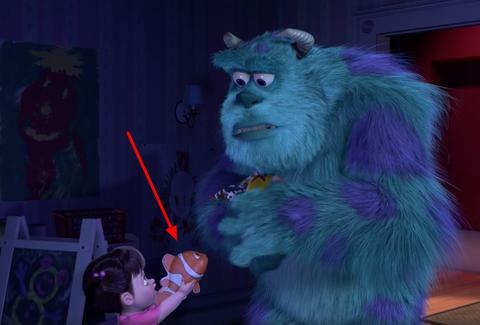 The Pixar universe has been a treasure trove for conspiracy theorists. For real. The worlds created by Pixar are so rich in detail that it's led to tons of theories attempting to uncover hidden meanings, connected worlds, and oodles of fun easter eggs. Pixar has a message for everyone who believes all the films are connected. They are. A post at the Toy Story Facebook page highlights how easter eggs tie every movie together and it's delightful. No, it's not hard conspiracies they're verifying. They don't claim to know anything about chemtrails or Andy's mom being the previous owner of Jessie or Andy's parents going through a divorce. The video doesn't even contain evidence that every Pixar character lives in the same universe. It's really just evidence that Pixar is good at layering easter eggs into their movies and sneaking in sly references to future projects. But you might have already known that if you noticed how the Pizza Planet truck is in a buttload of Pixar films. Or you might have noticed there's a rubber ball that appears in many films. Once you notice what to look for, there are a lot more you can dig up, though they probably won't help explain why there was a time traveler at a Mike Tyson fight in 1995.